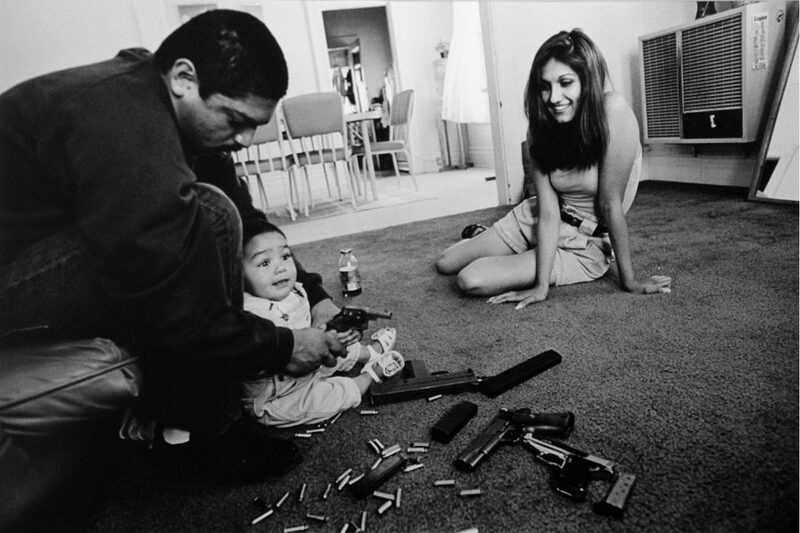 Joseph Rodriguez	| The morning after a rival gang tried to shoot Chivo for the fourth time, Chivo teaches his daughter how to hold a .32-caliber pistol. Her mother looks on. Please contact gallery for price.